Dr. Buka was absolutely amazing, so thorough, takes time to ask you questions making sure he gets as much information aspossible about your health concerns. I will definitely continue to see this doctor and I'll recommend him to anyone. Dr. Buka was absolutely amazing, so thorough, takes time to ask you questions making sure he gets as much information as possible about your health concerns. I will definitely continueto see this doctor and I'll recommend him to anyone. This was my first visit. Dr. Buka was running late and he saw me 70 minutes after my appointment. My issuewith this is - I arrived and the front desk never mentioned it. I went up to ask 30 minutes after my appointment and they said he was running late and would be at least 30 more minutes. Why wouldn't they tell me up front? I could have gone out for a walk. Its all about setting expectations and being respectful of your paying customers. Then, when Dr. Buka finally saw me, he had no comment. I can't imagine he didn't know he was over 1 hour late. Why wouldn't he at least be respectful of his paying customer by saying he was sorry to keep me waiting? Seems like a very poorly run office. This was my first visit. Dr. Buka was running late and he saw me 70 minutes after my appointment. My issue with this is - I arrived and the front desknever mentioned it. I went up to ask 30 minutes after my appointment and they said he was running late and would be at least 30 more minutes. Why wouldn't they tell me up front? I could have gone out for a walk. Its all about setting expectations and being respectful of your paying customers. Then, when Dr. Buka finally saw me, he had no comment. I can't imagine he didn't know he was over 1 hour late. Why wouldn't he at least be respectful of his paying customer by saying he was sorry to keep me waiting? Seems like a very poorly run office. A graduate of the Feinberg School of Medicine at Northwestern University in Chicago, Dr. Buka completed an internship in internal medicine at Saint Vincent's Hospital in New York City. He then completed a dermatology residency at the University of California, San Diego and a fellowship in pediatric dermatology at Children's Hospital in San Diego. Dr. Buka holds a law degree from Fordham University in New York City and speaks fluent Spanish. 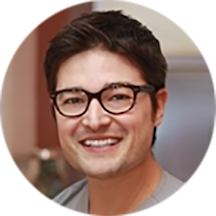 Dr. Buka's particular expertise is in vascular lasers, skin cancer, and acne. He speaks at the annual meeting of the American Academy of Dermatology on topics ranging from complex eczema to techniques in dermatologic surgery. His articles have been published in dermatology and plastic surgery textbooks as well as a number of medical research journals. Very professional attentive and knowledgeable. Dr. ROBERT was fantastic he was able to detect what the problem was and had more then one reason as to why I had eczema it was all over my body in different parts of my body he was able toprescribe me with medication that are exclusively helpful and will last for the amount I need it for. Not only did he look into my eczema he also helped me out with acne on my face that just doesnt look very pleasant for me and he prescribed me a cream for the evening and for the morning as well. Dr. Buka has wonderful bedside manner, he was thoughtful with his questions, very helpful when answering mine, and made me feel comfortable as a first-time patient. I'm happy I found a dermatologist I can trust! Dr. Buka was very friendly and helpful but other things caused this visit to be subpar. Some facts below: I had a 9:20am appointment and showed up early for paperwork, but didn't see the doctor until after 10am. My total timespent with the doctor was about 5 minutes. That's fine I guess, I got all the info I needed, but it seemed very rushed. Dr. Buka asked that I come back in 1 month. When I went to the front desk to set the next appointment, I was told he'd be relocating to Long Island City permanently but I could see another physician if I wanted. Hard to have consistency in treatment when I can't see them same doctor without jumping through hoops. Finally, when I got to the pharmacy to pick up my scripts, the office had only sent over 1 of 2. And it wasn't covered by my insurance. The staff and Dr. Buka were nice enough but I won't be going back based on the issues above. My visit was great! The office is super clean and cool. I was asked my pronouns, which is rare but I always really appreciate. I felt respected and heard and never felt uncomfortable. I was treated quickly and prescribed medication that I’m hoping will help! Highly recommended! Beautiful office and kind people. I originally scheduled an appointment for my infant daughter for Dr. Buka. My husband and I drove all the way from southern Brooklyn to the Long Island City just to find out in the patient waiting room that Dr. Buka isnot available. I saw Dr. Patel and he was very kind, understanding and informative. The visit went well. The only complaint I had was that the office and the front desk should have given me a courtesy call or email to let me know Dr. Buka was unavailable for the day. It is hard enough to make an appointment for Dr. Buka because he's very high in demand and it isn't an easy trip to make it out to Long Island City. The staff was very nice and friendly. Wonderful experience all around, very professional. The doctor was great however had to wait more than an hour to see the doctor. The fancy clock hanging on the wall of the waiting room was an hour and 10 minutes off from the actual time. This was a metaphor for my whole experience at Buka's office. Waited for about an hour. Was told bythe front desk it was just a busy day, and then the medical assistant told me it was because of "confusion". Love the office, the medical staff is amazing...front desk people...en, not as amazing,additionally, who ever answers the general line, is quite rude. Dr. Buka was very pleasant and kind. The office is clean and the staff super nice. Dr. Buka explained to me the diagnosis and then procedeed to tell me the options that I had for treatment. He answered all my questionsand took the time to make sure that I understood every detail. I will def recommend him. Great service, friendly and professional staff. Atmosphere was very comfortable. He was very pleasantl and knowledgeable. I practice is clean and you dont have to wait for a long period of time to be seen. This was by far my best appointment. Will refer people to Booby Buka's practice. I went to have spider veins removed and angioma spots. It was all easy. 99% pain-free, and fast. If I had known these little things which were bothering me so much were so easy to deal with I would have gonea long time ago. Dr. Buka is lovely and knowledgeable and earnest to do a great job. I am going back to do more ASAP. Each time coming here is always a wonderful experience. Most importantly you will get seen by doctor on time. Excellent appointment. Dr. Buka was so thorough that he ended up treating me for two additional issues that were not the original easons for my visit. Dr. Buka's assistant, I guess is a new training doctor saw me first then he joined. I would say they are both pretty easy to talk to and had good bedside manners. Same with the Nurse. They have an easy touse web system for payments and info too. Only tip is if you are looking for the office, it's not in the office building entrance, it's the retail space next door that is not listed with the #. I waited 45 minutes and had an appointment with Dr. Buka.However, Dr. Buka didn't even look at my skin. He said hi and introduced himself in a rushed manner and then passed me off to another doctor. This doctor barely lookedmy skin before prescribing 3 things to me and calling it a day. I felt unimportant and unheard as I left the office, still upset about my skin concerns. I think the facility and the employees were great. Clear and concise information during assessment. They were adept and versed in my skin condition diagnosis and thoroughly explained every detail. That part was greatly appreciated. Overall, sanitary work spaces, efficient employees equal 10/10 from me. Lots of professionalism from all staff and a very soothing place to be ! The exelperience was absolutely amazing. Everyone was very friendly and sweet. The wait time was very quick, as soon as I filled out my form it was not long until I was called in. They informed me of my skin, andclarified any issue I had. I was very pleased with their service, and look forward to visiting soon. I saw a PA first then I asked to see Dr. Buka. The PA was professional and had good bedside manner. I didn't feel like my concerns were answered though. Then again, it's always use a medication and hope it goesaway. Also,I was not informed properly about the allergy testing taking an additional two days to read results for a delayed reaction. Not everyone can take another day off to come to the doctors. The staff was professional throughout my experience especially the front desk staff. Dr. Buka is the best! Doctor forgot to prescribe medication after removal of a mole. This was not a problem, however when I called the office I was told they would contact the doctor and call me back. This never happened. When I called at the end of the day, no acknowledgement or apology. Great expienece over all! Dr Buka saw me within minutes. Turned out I needed approval from my insurance which his staff got within 5minutes. They preformed the produce and I was on my way. Recommended! Very happy with my appointment. Extremely helpful and professional. Dr. Buka seems like a nice doctor, but his office runs anything but smoothly. They cannot seem to get even the simple stuff right. 1. If you come from the south side of the block at night, and you go to214 Sullivan St. you will see a buzzer for the office. There is no sign to tell you the entrance is not that door (that does have the practice’s name on the door and next to the buzzer). Don’t bother buzzing or calling the front desk because they won’t pick up to explain that you are at the wrong entrance (although, again, the name is on that entrance and there are multiple receptionists working inside). 2. Appointment started an hour late 3. Multiple 10+ minute waits during the visit 4. On an initial visit, 2 Rx’s called in to a pharmacy. One got through, the other did not. 5. On a follow-up visit, I explained the prescription didn’t go through and they sent it again. But, perhaps unsurprisingly at this point, the prescription again did not make it to the pharmacy (after it had no problem receiving the other one). I don’t know how you trust a place with your complex medical needs when they can’t display basic levels of competence or foresight for patient experience. I don’t. Come here if you have extra time and energy to waste. Luke was awesome! Heard me out, educated me on medications very very well, and had great bedside manner. Happy and will be returning.